Sang Along Entertainment was founded in 1992. Services include professional music equipment rentals, lightning, DJs, and MCs (speaks English, Cantonese, and Mandarin). We have great experience with handling all kinds of bridal parties (especially Chinese-American weddings), birthday parties, and New Year gatherings. At Sang Along Entertainment, we listen to what you have to say. 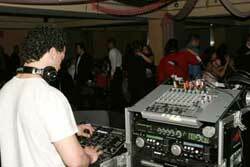 It is your day, and your reception should reflect your tastes, not the disc jockey's. 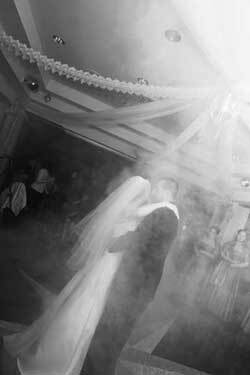 We will tactfully interact with your guests... we will not put on a show and upstage the bride and groom. We want your day to be unforgettable and exactly the way you want it. There is a lot of planning for your wedding day. Want some helpful hints on planning your wedding? Feel free to ask us. We will be pleased to help you. It is very important to get together with your Disc Jockey to discuss the important details of your reception. How will the Bridal Party introduced? Parents? Bride & Groom? What music will be played at this time? What is your selection for your First Dance? Are there any special songs you want....Must have. Are there songs you don't want to be played? Are there certain types of music you want? For example; Pop, 80's, Trance, Club, R&B, etc. Do you want your guests to have the ability to request songs? Are there special dedications you want to made? Here are some useful forms that might be useful for you. They are very handy.